We are extremely proud of Jessie LaFalce, our Atlanta Design Director and Lead Designer! 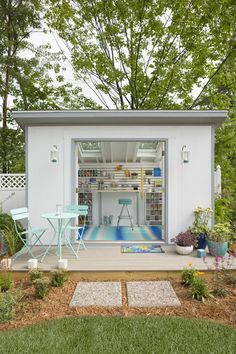 The line separating indoor and outdoor spaces has forever been blurred. Gone are the days when everyone merely dined in the backyard on a picnic table, poised next to a grill, and maybe roasted some marshmallows over remaining charcoal embers. Our outdoor dining and entertaining spaces have thankfully become much more exciting and we’re able to spend many more hours enjoying the outside of our homes as a result! From a decor perspective, we can now blend furnishings for indoors and outdoors seamlessly. Furniture manufacturers such as Summer Classics, Lee Industries, Brown Jordan, and Castelle have created gorgeous lines of outdoor furniture that not only look beautiful enough to use inside, but have developed technologies for their fabrics, frames and cushions that are guaranteed to truly stand up to the elements. Imagine being able to hose down your upholstered furniture to erase muddy paw prints, sand from the beach, or ketchup and mustard from the neighborhood cookout you host. 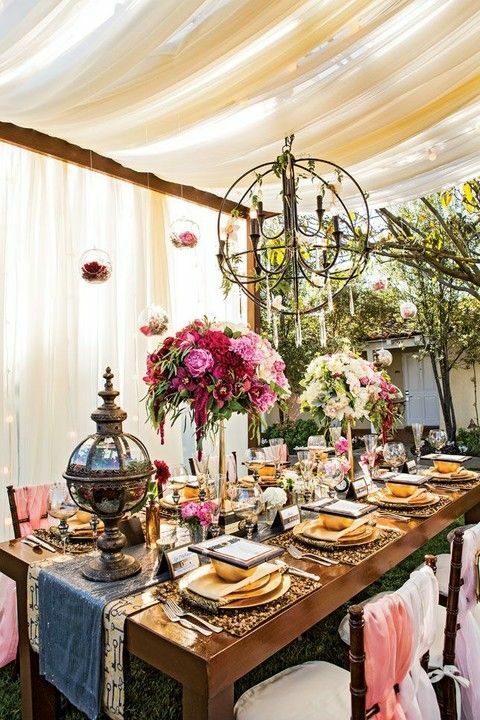 While the furniture and decor styles have changed over the years, one thing remains constant: people love entertaining outdoors! 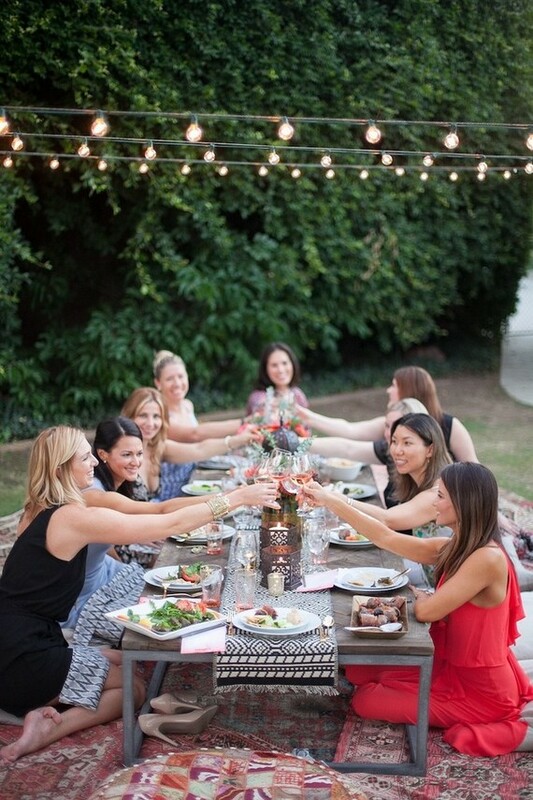 Nothing beats having a cook-out or dinner party in your backyard, with friends & family, during the warmer months. Outdoor structures are not only functional and practical, but they’re quite stylish too! 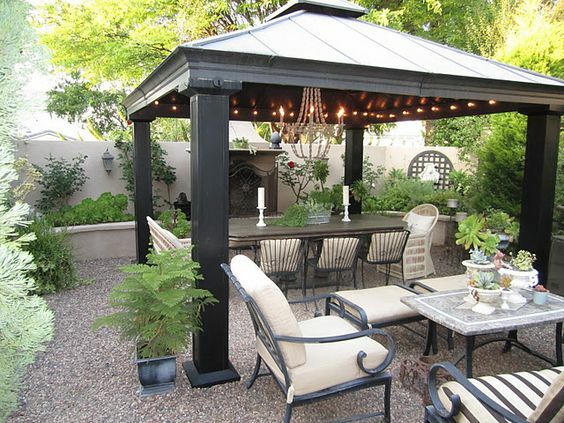 Enjoy protection from rain and sun while adding architectural elements to your outdoor space. Your visual line of sight is open, even when the doors are shut. Large windows and sliding glass doors are great options for achieving this. 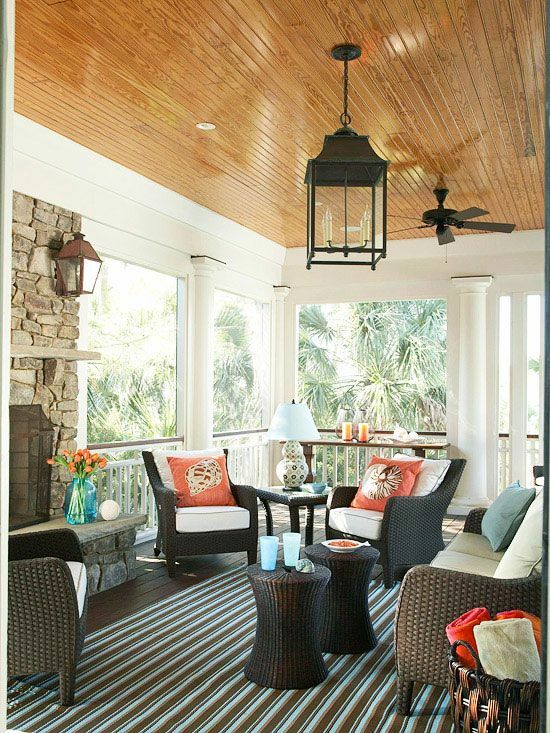 Screened porches are a great way to enjoy the great outdoors without having to worry about the elements (aka bugs!). Nowadays the options are practically endless when it comes to decorating your screened-in porch. 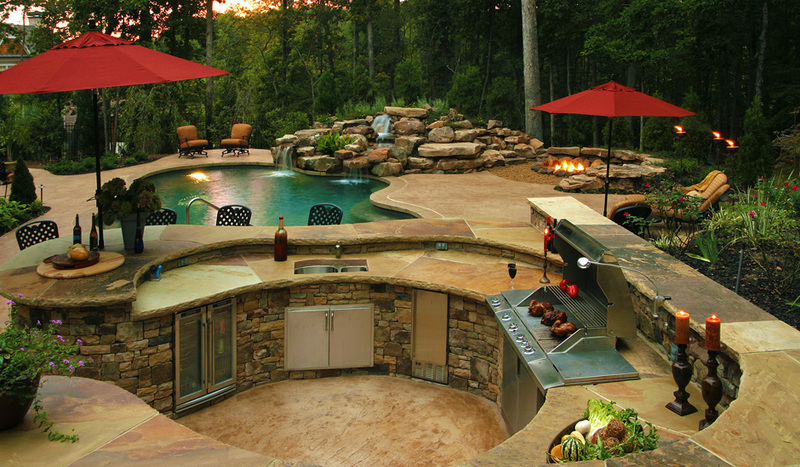 If you’re entertaining outdoors at your home, an outdoor kitchen is the perfect complement. It makes things so much easier when you can cook right alongside your friends and family! Whether you like to swim in the pool, or soak up the sun next to the pool, this area is important! Don’t forget to fill the space surrounding your pool with lounge chairs, plants, decor, and anything else that fits your space needs. Wood, rope, fully upholstered furniture & more! Essentially no boundaries between indoor and outdoor spaces, with fully upholstered furniture pieces. Nowadays there are great new materials for outdoor furniture including rope, new stains for wood, and upcycled materials. We love Lee Industries and Summer Classics for their great quality products and stylish frames! Hi, we really appreciated this blog and thus posted it to the Studio Designer’s Facebook – https://www.facebook.com/StudioWebware/posts/1809119919101902 – and Twitter- https://twitter.com/studiowebware/status/858353939061669888.